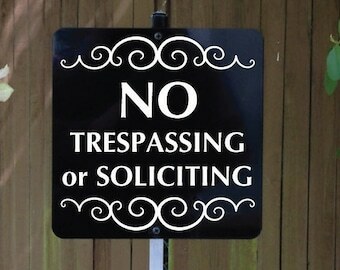 Attached to a 2 ft Heavy Duty Aluminum Stake. 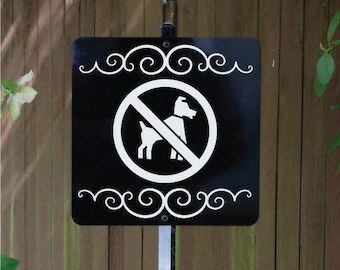 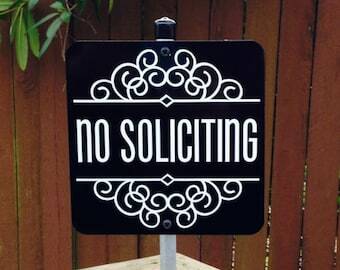 Stop annoying visitors and solicitors from getting to the door place near walkway or path ! 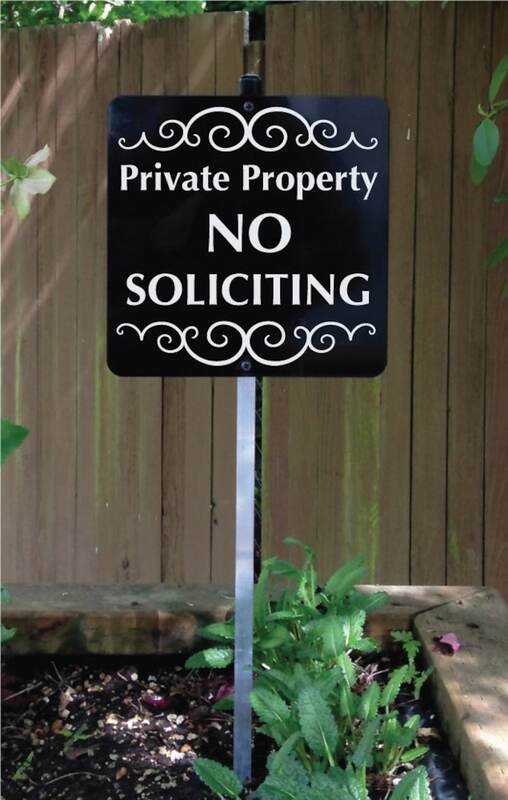 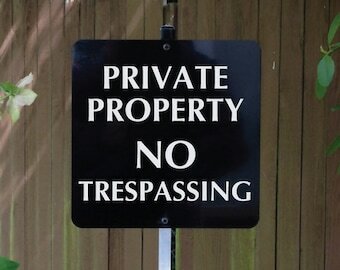 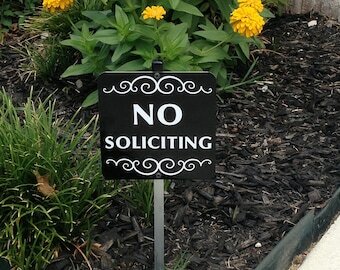 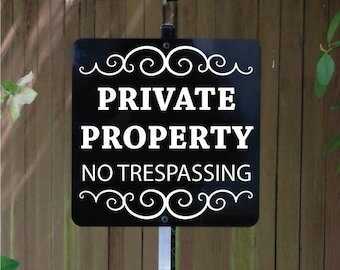 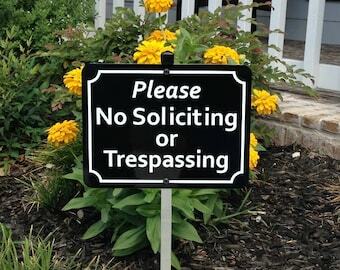 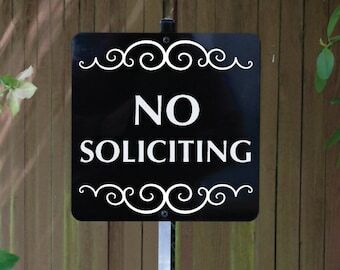 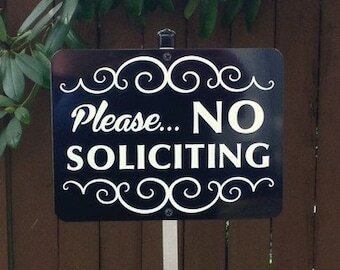 Avoid unwanted solicitors from entering your property by making sure you warn them with this "NO SOLICITING" sign. 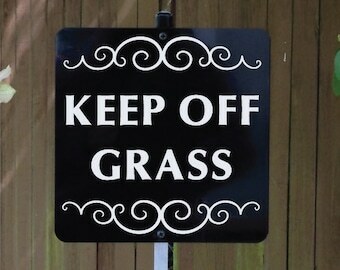 It's the perfect size and color large enough to been seen and read but will not overpower your landscape. 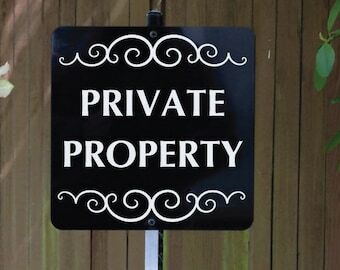 Just take it out of the box and it is ready to use. 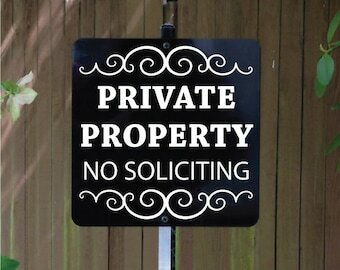 Don't let solicitors get to the door. 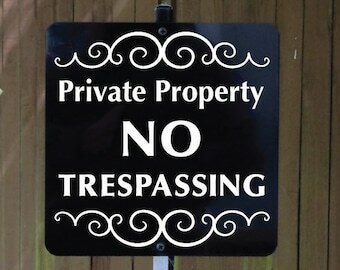 Place near walkway or path.